Recently this Gal took a day off from work to enjoy the day with my wonderful parents. 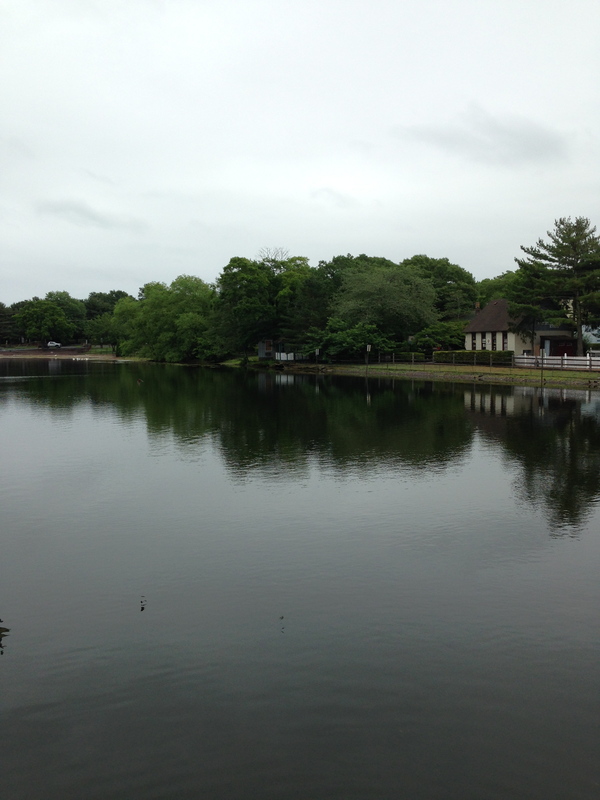 We decided to spend the day enjoying all that Smithville Village has to offer including lunch at the Smithville Inn. 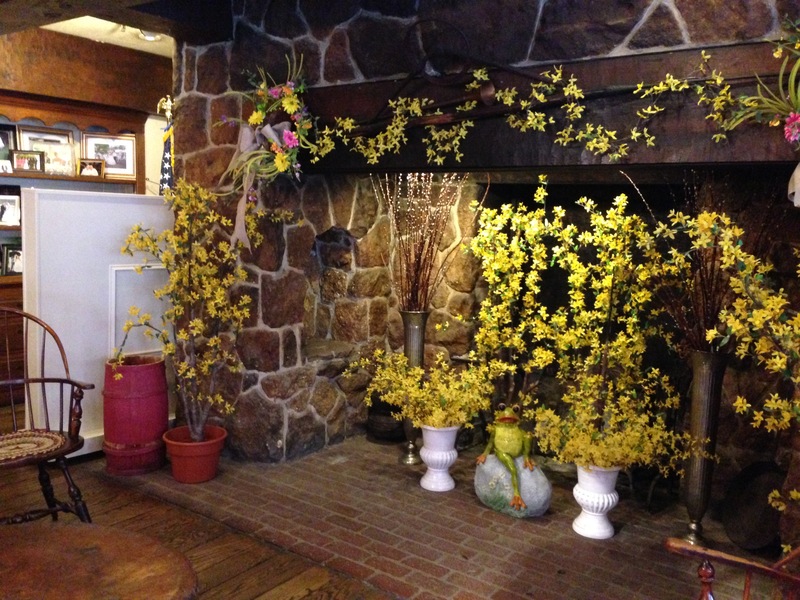 The Inn itself is beautiful and right away you know you are in for a special treat with good service, excellent food and a cozy historic setting. I had heard some good things about the beer offerings at the Inn so was excited to see whats what. 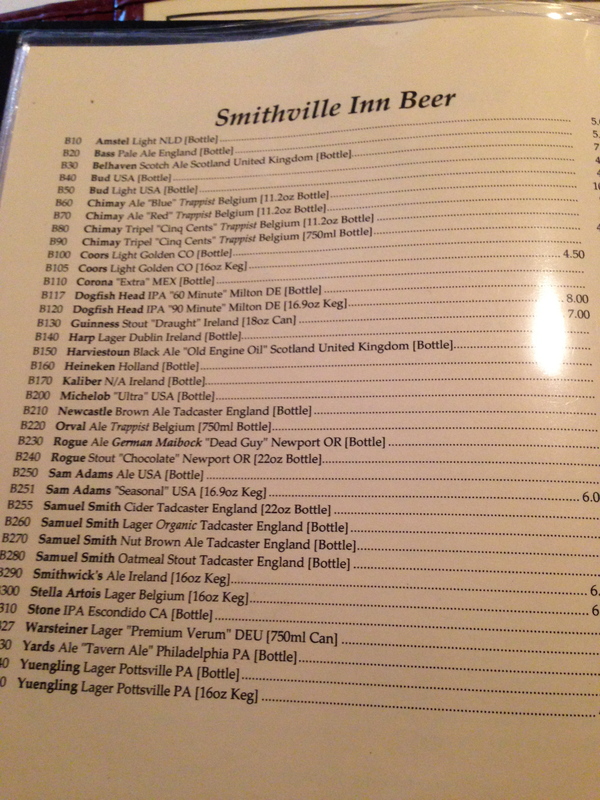 The tap is small but the bottle list has some wonderful selections: several Chimays, Orval, Dogfish Head, Rogue Maibock & Stout plus 4 different Samuel Smith’s. The bottle beer selection complimented the Old World English feel to the Inn. 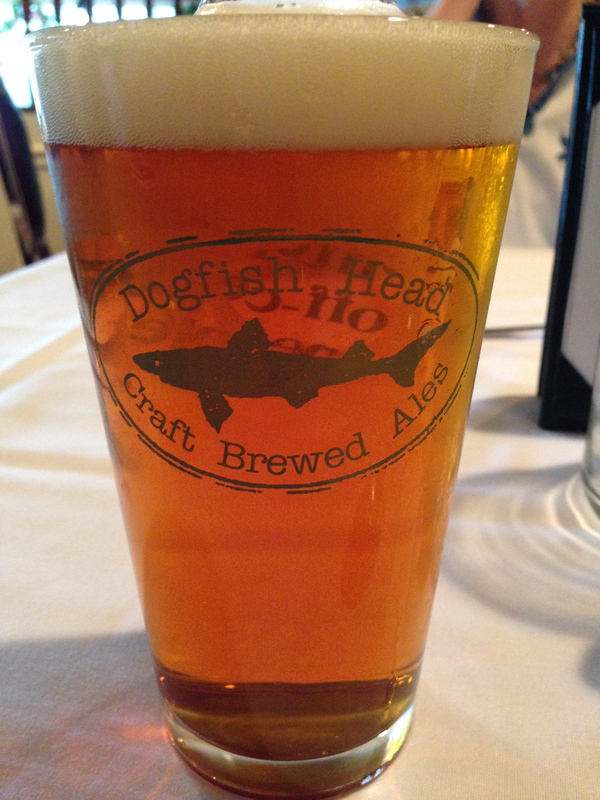 I decided to go for the Dogfish Head 90 Minute IPA. That’s right folks this Gal ordered an IPA and a full pint at that! Loved it! I would not have said this a year or two ago. I would have found it too hoppy but not now. Loved the refreshing, full body combo of malt and hops. 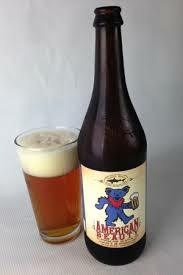 Plus, my Mom, a non beer drinker, thought it was tasty as well. The Inn offers a full service bar and on this day my Dad enjoyed his personal favorite Southern Comfort on the rocks. 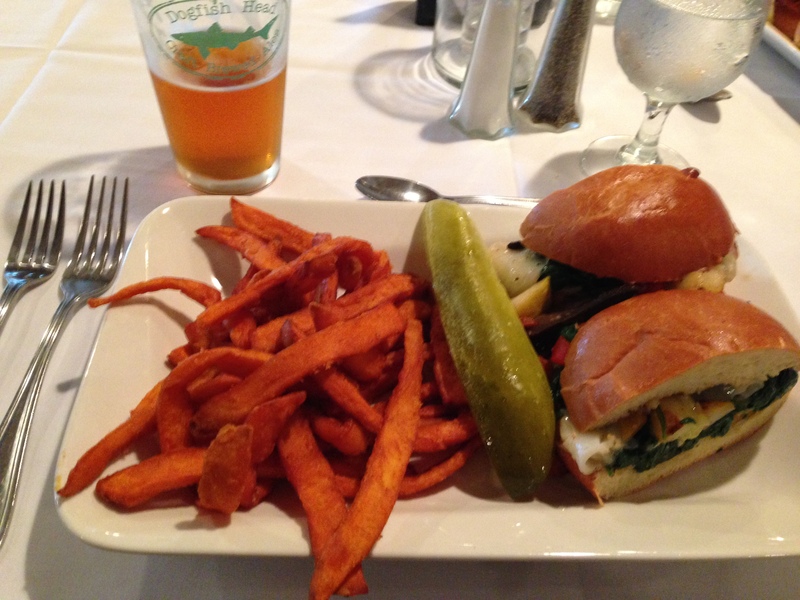 To accompany our beverages I chose the Grilled Vegetable Melt which was delicious and chock full of assorted veggies. The 90 Minute complimented the melt perfectly. Mom enjoyed the Asparagus and Crab Quiche with Fresh Fruit and Dad enjoyed the Pork Sliders with Sweet Potato Fries. The presentation was nice and everyone enjoyed their selection. After lunch we wondered around the Village exploring the many shops and taking in the quaintness of it all. 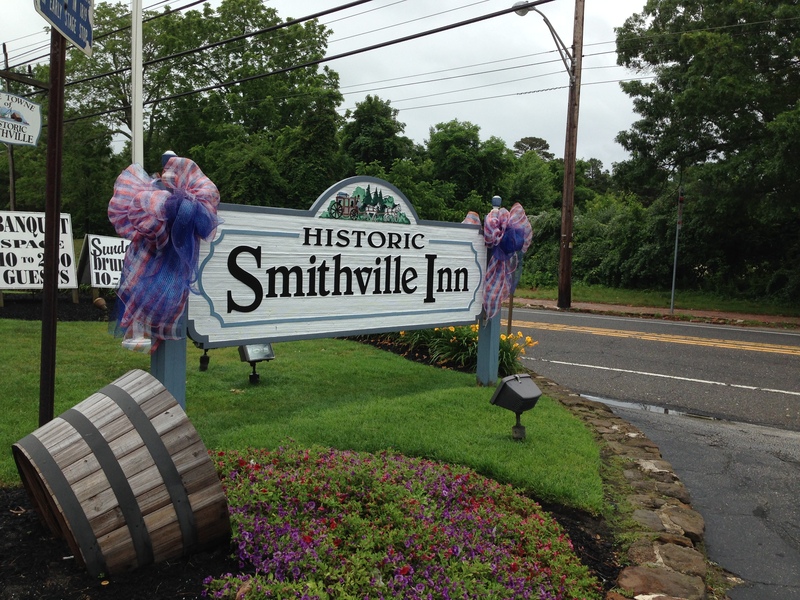 Smithville Inn & Village is a nice way to spend a day strolling back in time.